A casual outfit from going to the gym last week. 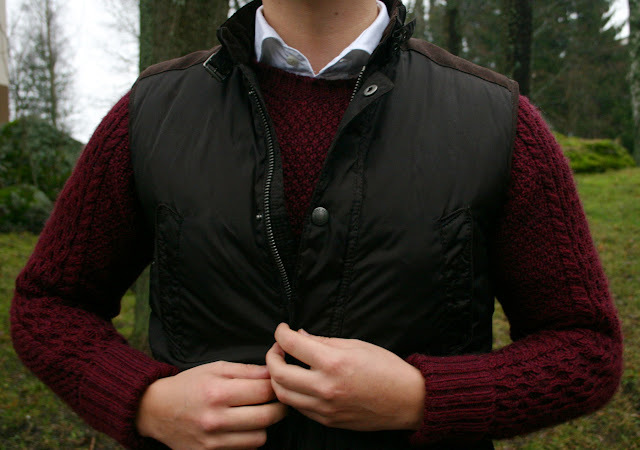 The vest I have on has proved to be a pretty versatile piece, working with a fitting jacket as well as knits. 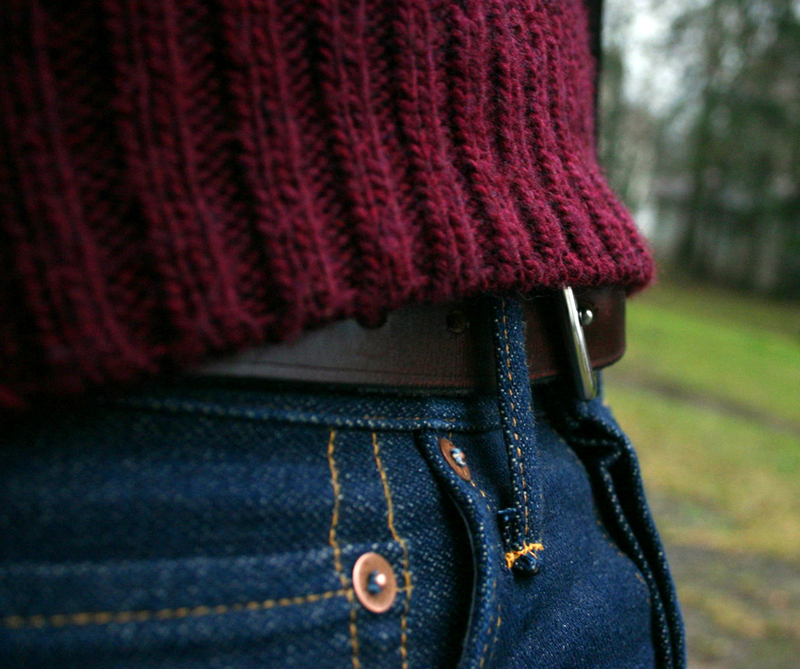 This day I decided to pull it on my chunky burgundy knit I got some months ago. It was actually -1° Celsius, but I was more warm than cold. The other items include a wool scarf, oxford cotton white spread collar shirt and an Equus Leather bridle leather belt. Another thing I really like, is how the well-made and thicker bridle leather belt works in this kind of outfits. I've had belts from Equus Leather for almost two years now, and they just seem to get better. 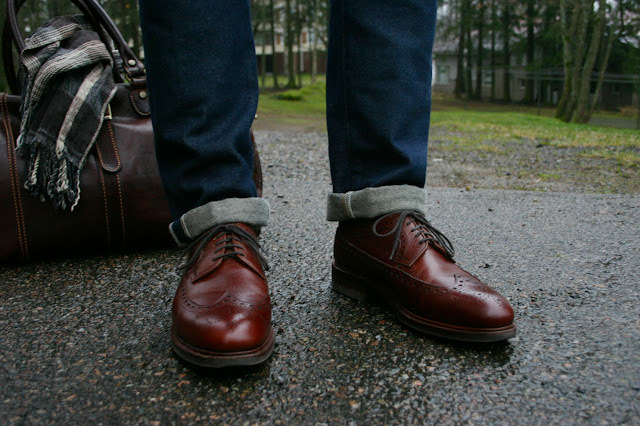 The quality feel you get from the heavier and chunkier bridle leather is just right with the raw denim, thicker knit and heavier shoes. 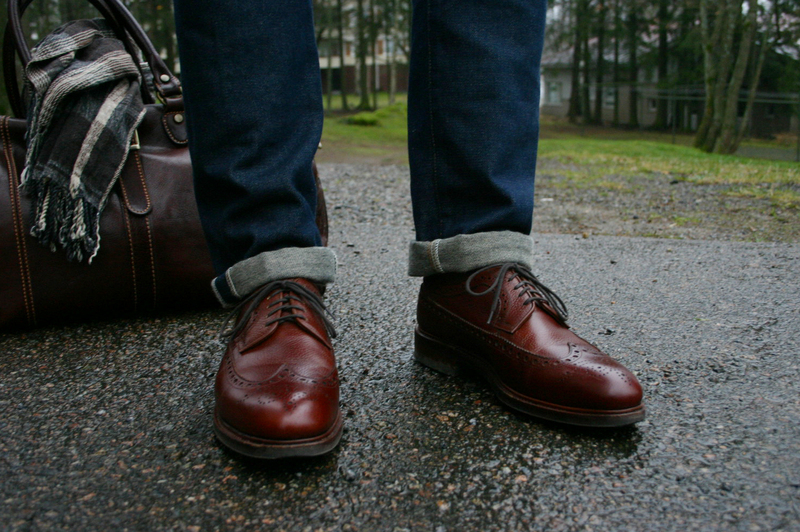 Last but not the least, denim, brown wool and brown longwings. A brown buffalo leather holdall on the background. Once again, remember to like on FB to get updates whenever there is a new post. 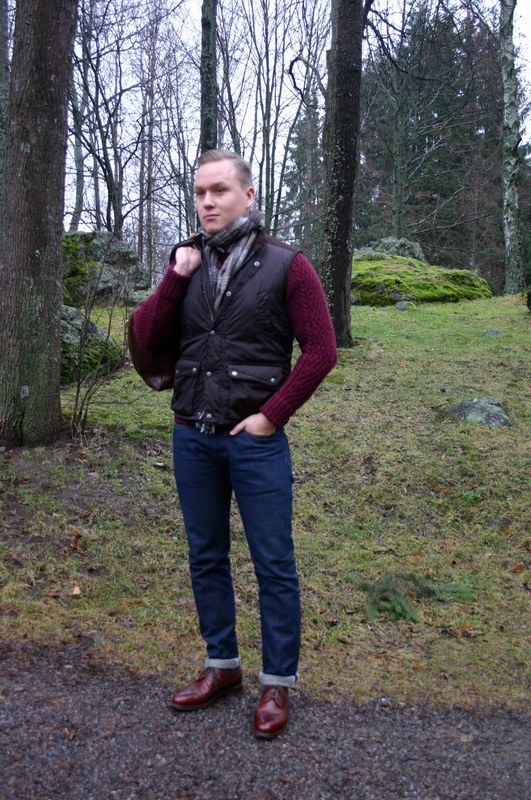 Next few posts will include a review of a new pair of shoes and some outfits featuring my new padded Eleventy jacket.